Half Moon Cay is an island in the Bahamas. Carnival Corporation owns the island and has a private resort there for the enjoyment of cruise passengers. See the full calendar of cruises to Half Moon Cay from Jacksonville below. 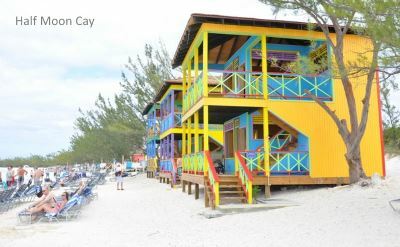 Only a small portion of Half Moon Cay (also known as Little San Salvador Island) is developed, and the rest is a nature preserve. A food pavilion is available for lunch. 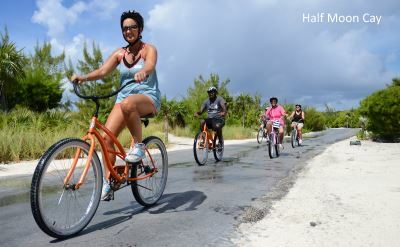 Lots of Half Moon Cay shore excursions are available. 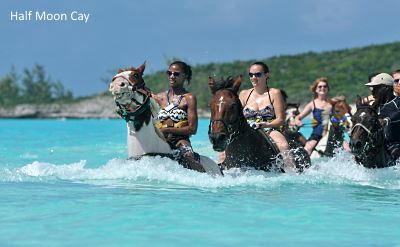 Horseback rides on the beach and in the water are iconic. Photos of that are everywhere. Have an encounter with stingrays. You'll learn about their behaviors and habitat, then enter the wading area to touch and feed the rays. Ride a personal watercraft. Paddle a kayak. Go snorkeling. Let the kids play in the pirate ship water park. Drink rum punch. 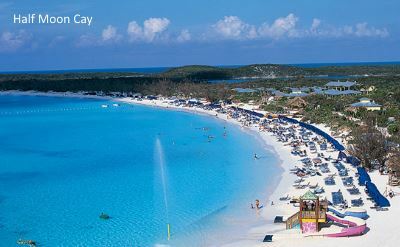 5-day cruises to Half Moon Cay on Carnival Cruises. Round-trip from Jacksonville to Half Moon Cay (Bahamas) and Nassau (Bahamas). • 2019 departures: March 2, March 11, March 16, March 25, March 30, April 8, April 13, April 22, April 27. • 2020 departures: January 4, March 14.